How can be Arthritis treated? Are these drugs have Side effects in the body? Do I need changes in life style? Exercise: Do Physical activities in a way that it does not make heavy pressure on your joints and knees. Physical activities reduce joint pain and stiffness, increase flexibility and muscle strength. Exercises such as stationary cycling, walking, stretching, exercising in water, and swimming are recommended. Mechanical hip dysfunctions: It is called as offset disturbance, in which femoral head protrudes in the back or front side. This offset disturbance injures ‘sealing ring’ of the bone by hitting femoral neck on the socket edge during forward bending. The early symptoms are groin pain followed by partly damage of ball and socket, causing severe pain and stiffness. Circulatory disorders: Osteonecrosis of the femoral head results from interruption of blood supply to the bone. Interrupted blood supply in femoral head results femoral head ischemia and leads into the death of bone marrow cells and osteocytes, and collapse of the necrotic segment. Inflammatory disorders: Also called as chronic polyarthritis, it is a multiple joints arthritis and cause chronic pain and inflammation at many joints. Surprisingly, mechanical hip disorder is more prevalent than others. Furthermore, try to avoid carrying heavy loads, walking on rough ground and prolonged standing. Treatment of Coxarthrosis are prescribed as tablets or rarely intra-articular injections. 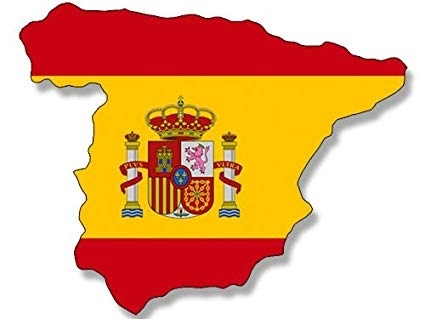 Analgesics and Non-steroidal anti-inflammatory drugs (NSAIDs). 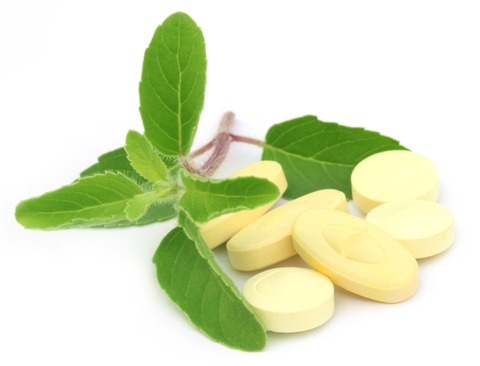 In short term treatment, it may not have contraindications, but long term treatment may have severe side effects. How Ayurveda could help in treating Arthritis/ Coxarthrosis? Ayurveda describes various herbal message oils, herbal medicines to treat Arthritis, Muscular Pain, Rheumatism, Joint Pains etc. the examples are Sesame oil, Boswellia, Commiphora Mukul (Guggul). They act as anti-inflammatory, pain killing and provide strength to the bones and improve flexibility. 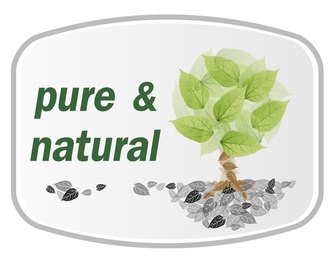 If you are suffering from various pain and aches in back, joints, fingers and toes. 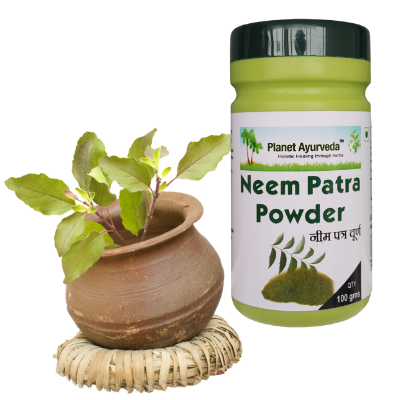 We Planet Ayurveda, Holistic Healing Through Herbs, manufacturer and exporter of herbal Medicines worldwide, have formulated powerful and effective anti-arthritic herbal medicines. Boswellia and Curcumin Capsules (500 mg): It is the most effective formulation for anti-inflammation activity. It has powerful results in relieving joint pain and swelling, and improves the health of joints by promoting circulation and flexibility. It is a wonderful formula for Arthritis and acts as analgesic, anti-inflammatory and reduces underlying swellings of tissues. 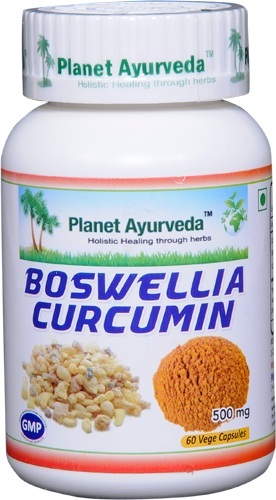 Boswellia Curcumin, is the combined therapy of two herbs Shallaki and Curcumin. Both herbs are of high valuable medicinal properties, contributing synergistically to reduce the inflammation and arthritic pain. 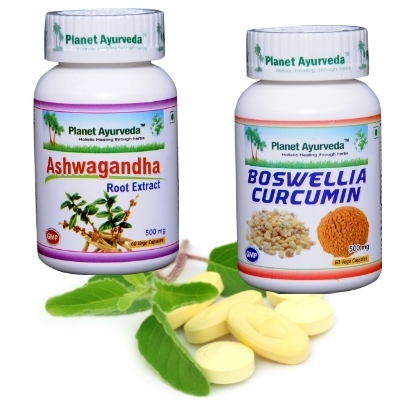 Planet Ayurveda, Boswellia Curcumin capsules (500 mg) are 100% pure and does not have any side effects. Each capsule contains standard herbal extract of 250 mg of Boswellia serrata and 250 mg of Curcuma longa. 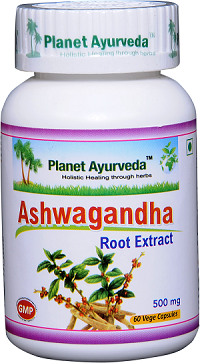 Ashwagandha, root extract capsules are results delivering and regular use of capsules help in overcoming stress, anxiety, depression, fatigue, nervous breakdown, neuropathy due to diabetes. It strengthens your muscles, calm down the body and mind. As a nerve tonic, it enhances the stamina and performance. Make sure during arthritic treatment you are controlling your diet as directed by your physician. In general, avoid dairy foods, high protein content foods, potato and eggplant and to follow an anti-Vata diet.